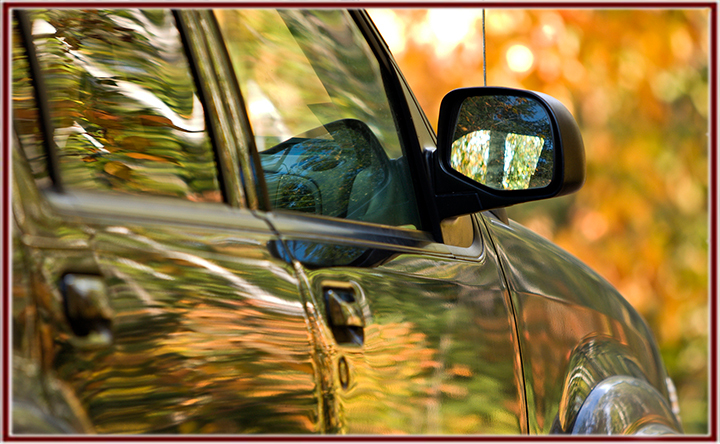 Fall Driving…take time to watch the leaves but above all, be safe! - Scarsdale Premier Insurance Agency | Advocate Brokerage Corp.
Fall Driving…take time to watch the leaves but above all, be safe! Autumn has arrived. The arrival of fall means many great things but it can also add hazards that you might want to give some extra attention. Back to school means additional cars and buses on the road. Along with the added traffic, drivers should also pay attention to increased pedestrian traffic as kids walk to and from schools and bus stops. Watch your speed. Drive a bit slower, during the hours before and after school. Be on alert when following a school bus. Who doesn’t love to look at the beauty of fall leaves? But as they begin to fall, they litter the roads. Fallen leaves cause a number of potential road hazards. They cover traffic lines and markings, obscure potholes and make otherwise safe roads an instant hazard for drivers who may be unfamiliar with the area. Add rain to the mix, and you get wet leaves that make the road as slippery as ice. Keep your distance. Leave ample space between you and the car in front of you. More reaction time = safety. If you’re driving behind a car with out-of-state plates, be on alert in case they stop short. Sun glare is always a problem but during the fall when sunrise and sunset coincides with morning and evening rush hour, it can be very problematic. Sunlight on the horizon, bouncing off your rearview mirror or even the shine from the hood of your car can blind you for a few seconds making it hard to see the car in front of you, traffic lights or pedestrians. Keep your windshield clean! When intense sunlight shines through dust, streaks and smudges are magnified. Sun glare can blind drivers making it harder to see traffic lights change. Approach them with extra care. Avoid waxing. Your car may look awesome but they tend to magnify sun glare and make it harder to see. Keep sunglasses handy & remove all excess items from your sun visors. Fall is migrating and mating season for deer. During this time of year, they become bolder and pay less attention to the world around them as they search for a mate. For those of you who live in an area where deer tend to roam, extra caution should be taken, especially when driving at night. Watch for deer crossing signs. When you see them, slow down and use caution. Deer are most active during early morning and evening hours. Be especially watchful during your commute. Educate the younger drivers in your home to the potential threat of deer. If one deer crosses, be on alert. Deer often travel in small herds, one deer usually = more deer. Fall mornings bring cooler weather which often leads to fog. Fog can greatly limit visibility as well as depth perception. Fog activity tends to be greater in low places or areas surrounded by hills, water, mountains and trees. Use low beams. When driving in fog, always use low beams as high beams will cause glare. Drive slower and stay well behind the car in front of you so you’ll have plenty of time to stop. During the fall, temperatures tend to drop dramatically over night, which leads to morning frost on your vehicle and icy spots on the road. This is especially common on bridges, overpasses, and shaded areas of the roadway where icy spots can form on the pavement. Clear frost from all windows. Frost reduces visibility which affects how quickly you respond to road hazards. Keep tabs on tire pressure. As the weather changes, your tires expand and contract, leading to a loss of pressure. From all of us here at Advocate Brokerage, enjoy this beautiful time of year and stay safe!